We had us a sunny but "brisk" Sunday today here in Colorado, still, there was riding to be done. 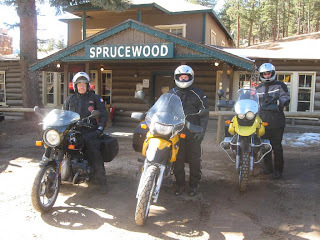 It would be Jay's second ride on his "new to him" F650GS motorcycle so John (Spat) and I rode along with our two-wheeled steeds. I've ridden with them many times before, but always on our Urals....it was definitely a faster paced ride. 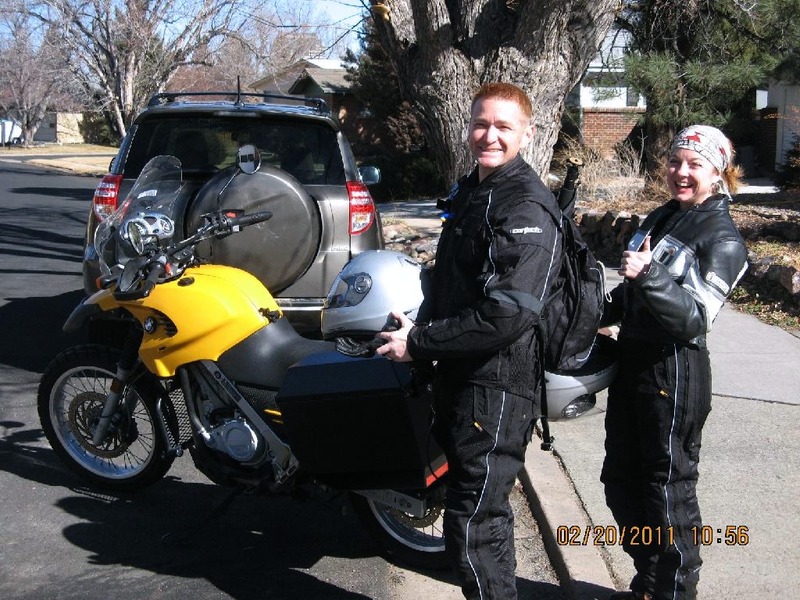 John was on his R1150GS and I was on Brigitta, my '87 R80 Airhead Beemer. I failed to notice at the start, but Brigitta would go over 90,000 miles during the ride today. 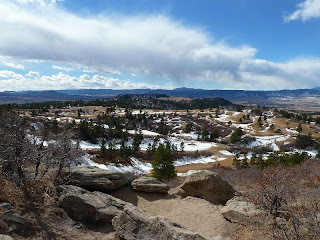 We made our way on city streets from Deana and Jay's home southward until we found the back way to Daniels Park which is located to the east and above the town of Sedalia. Temperatures were in the low 40s throughout the day but with the sun out, it was quite bearable for all of us. We left Daniels Park and proceded down to the road's junction with US85. We went north on US85 until we got to the small town of Sedalia where I had to fill up, I'd forgotten to check when I left the house. 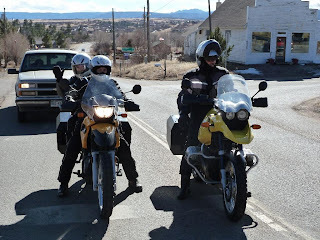 That chore done with, Jay and Deana led the way through Sedalia and onto CO67 towards Jarre Canyon. The roads were pretty much clear though sand and gravel were very much in evidence. 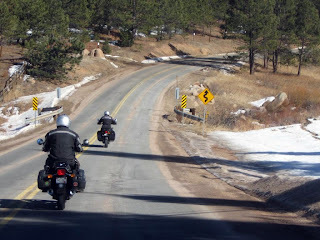 There was snow and ice on the sides of the road as you will see in the pictures but we cruised on down to the settlement of Sprucewood with no problems. We stopped and ate lunch at the Sprucewood Inn, had a good time conversing and warming up a bit from the cold riding so far. After a leisurely lunch, we saddled up once more for the return trip on CO67 back towards Sedalia. We got to Sedalia just in time to be stopped by a passing coal train. I used the opportunity to take this picture and to say my goodbyes to Deana, Jay and John. They were heading North on US85 back towards the Denver Metro area and I elected to go South and bypass it and take the usual backroads back home. 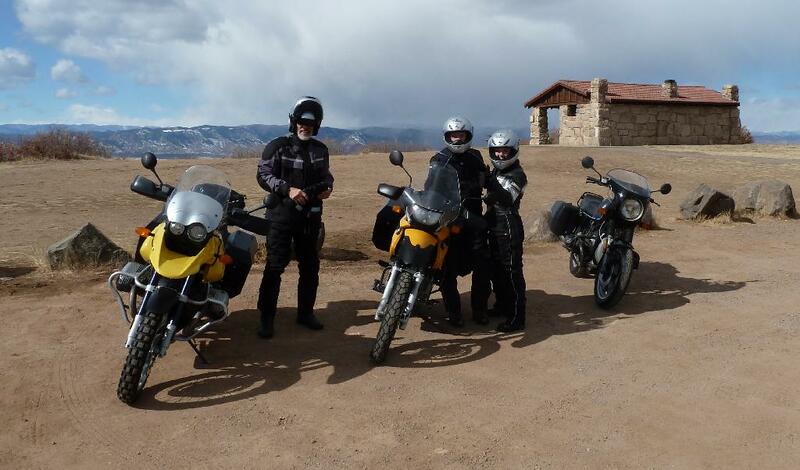 The weather was pretty good, a bit brisk but with everyone having heated grips on their motorcycles, no big deal. Jay seems to like his new motorcycle just fine and it rides two-up just fine as he had no issues keeping up with John and I who were riding solo. 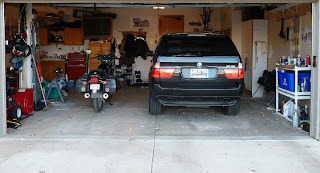 On a different topic, it cost a bit more than I figured on but I found a way to increase the garage space available for perhaps one or more motorcycles. 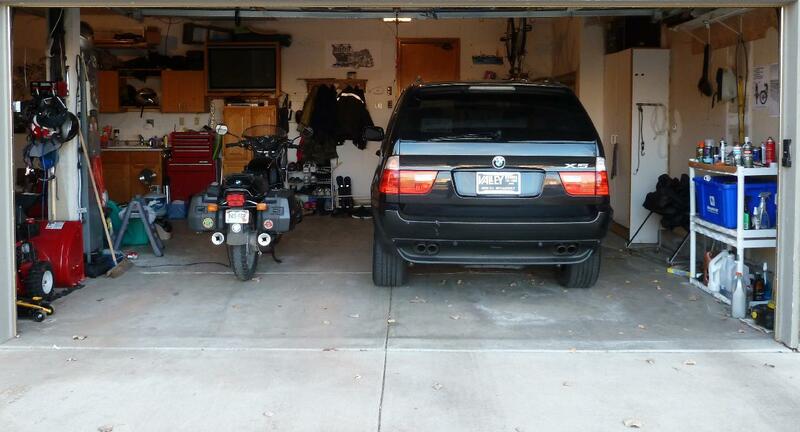 Yesterday, my wife traded in my 560SL Mercedes and her Pontiac Minivan for a 2005 BMW X5 SUV (though BMW calls it a SAV: Sports Activity Vehicle), it's the 4.4i AWD model and Martha's quite please with it so far. Me? I've got more space......now to fill it. Hope you got a ride in today. 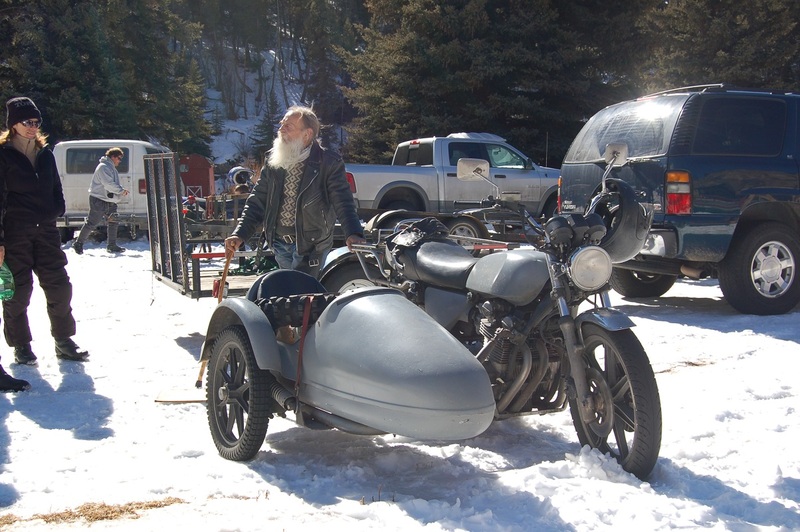 As Winter continues to grip the country, three Ural Sidecar Rigs and their Uralisti riders and monkeys rode early this morning to Grant, Colorado. Grant is the starting point for the annual "Elephant Ride". An informal event whereby motorcycle riders of all sorts and makes attempt to make it to the summit of Guanella Pass. The southern end of the road which leads to Guanella Pass is at at Grant, hence it's use as the starting point. The Uralisti comprised myself, John and Cookie and Steffen and his son Nick. Steffen, with his low-slung Retro model with one-wheel drive would almost put Natasha and I to shame, more on that later. 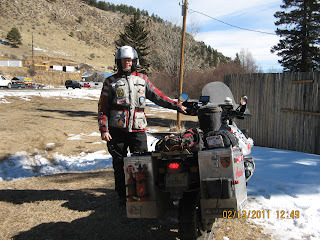 We were joined on the ride to to Grant by Murph of wherethehellismurph.blogspot.com. 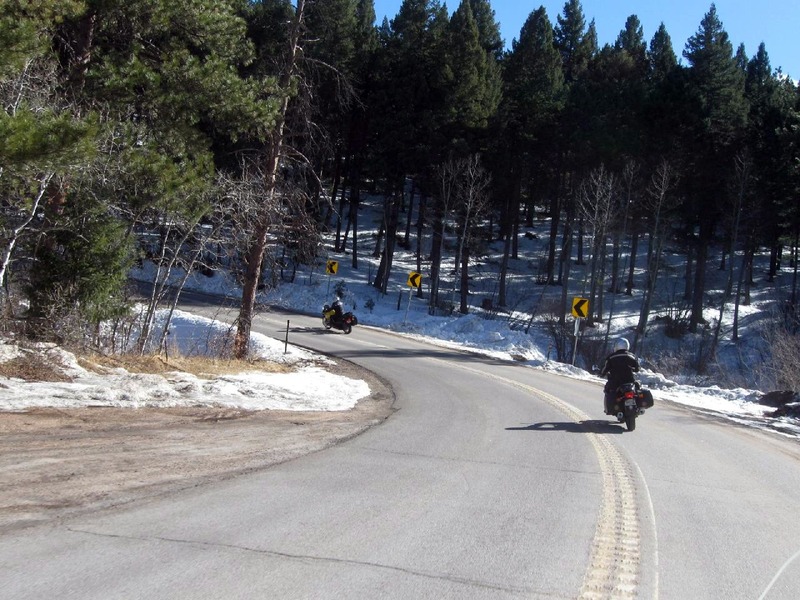 He was riding his 2004 1150GS as US285, which takes one to Grant, was clear of snow and ice. 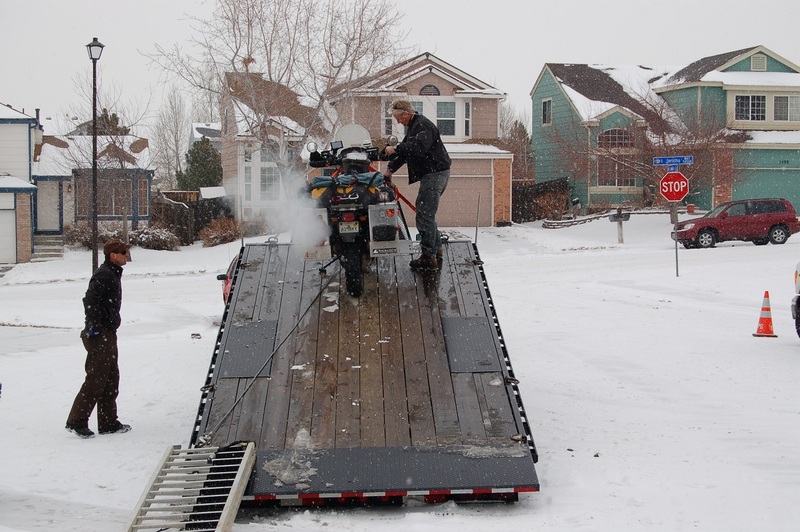 He would leave his GS at Grant and would ride as monkey on my rig. I am glad he came along. Someone had scrawled "Dung Beetle" on the dirty exterior of this trike. 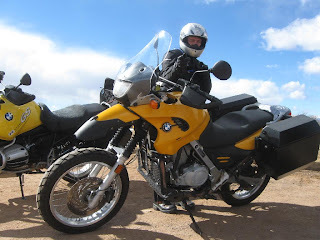 Murph was not the only rider to bring his GS to this event, though we only saw one GS try and make it up to the pass. 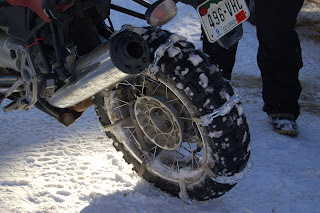 The rider of that GS had placed chains with tiedown straps of some kind. He would actually get pretty good traction on the road up, he in fact went about a mile further than we did. Finally, we set off after most of the lighter dualsports and dirt bikes had scrambled first. 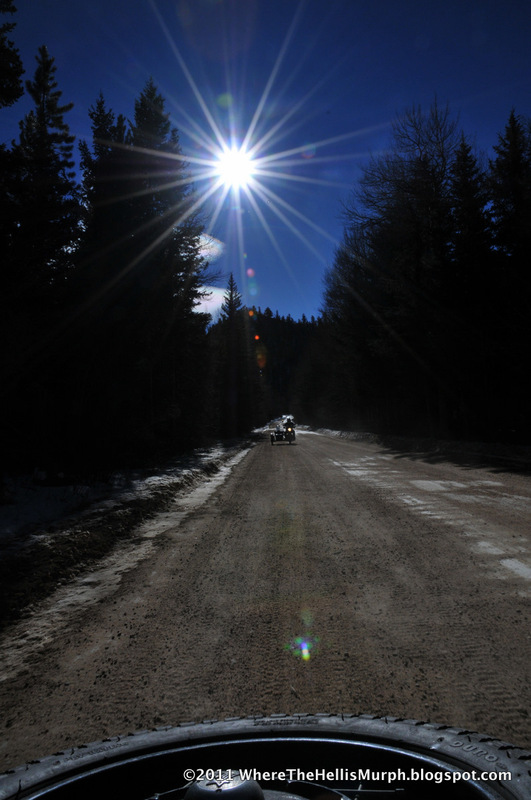 The first 3-4 miles were nothing but packed dirt or pavement, with barely any snow on it. I was almost ready to apologize to Murph who was riding in the sidecar for the lack of snow. 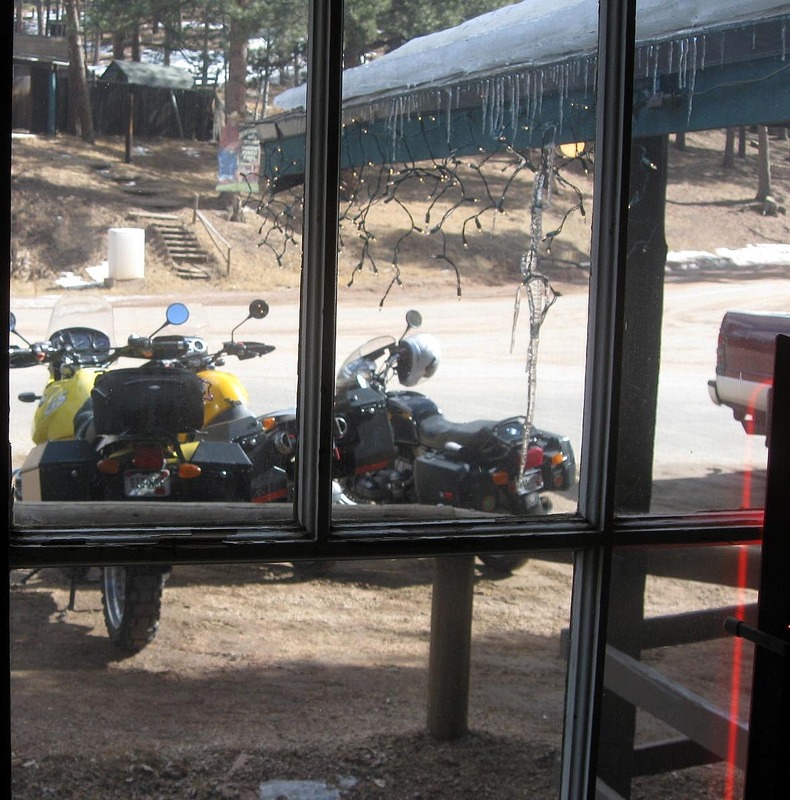 However, we soon found enough snow to make even the hardiest of riders take pause. It was OK so long as one could maintain momentum and not stop in the soft stuff but there were bikes and riders stuck here and there and one could not go around them most of the time! 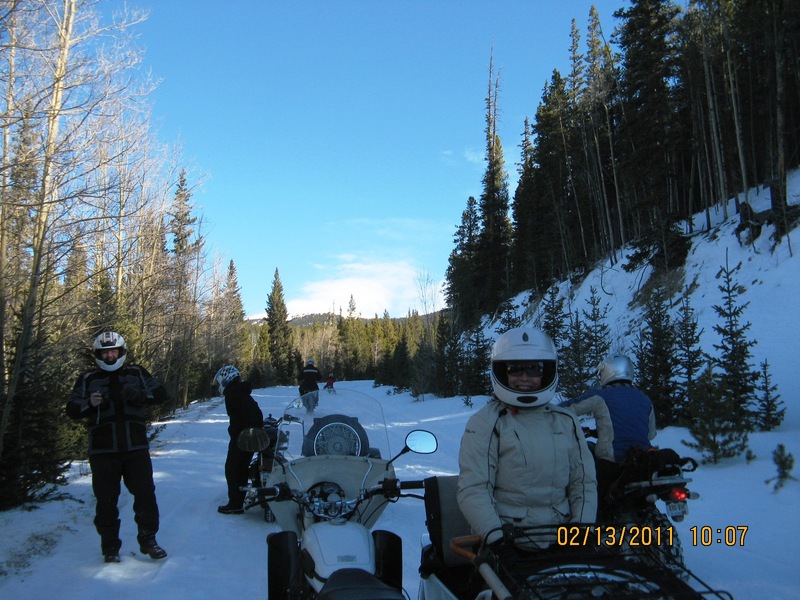 Everybody, when stopped, would gather about the stuck motorcycle of the moment and help extricate said vehicle, sending the rider on his way to the next spot of deeply rutted soft snow which was quite deep in places! Slowly but surely, with much assistance given and rendered between us Uralisti and fellow riders on their smaller motorcycles, we gained altitude as the road climbed up the mountain. 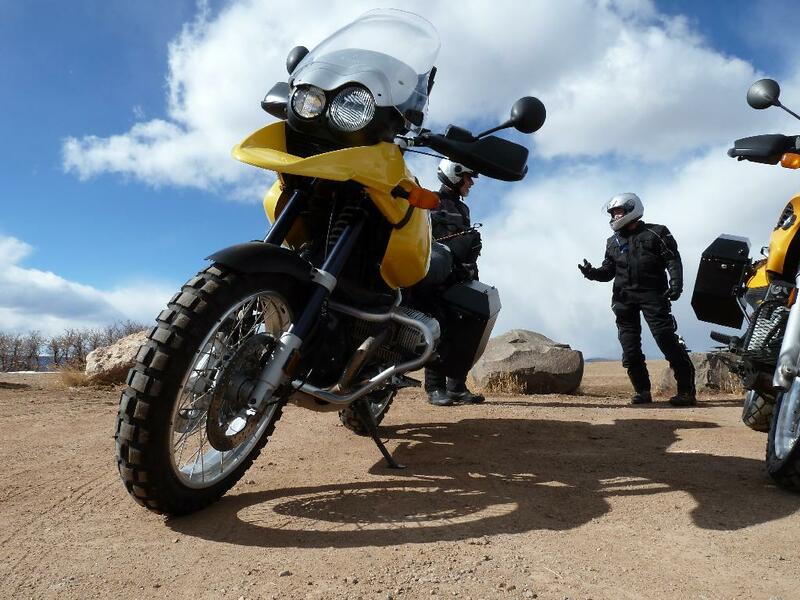 We "achieved our level of victory", as one passing rider put it, at around 9994 ft in altitude. I'd gotten well and truly stuck about 150 ft short of where Steffen's Retro and John's GearUp had made it to, luckily, folks got me going and with determination and somewhat in control as I opened up the throttle, made it a few feet past the single-wheel drive Retro! Honor was preserved! John and Cookie, gave it more than the "old college try" several times at one particularly wide and deeply rutted portion of snow-covered road and they eventually agreed on the "level of victory" already achieved. 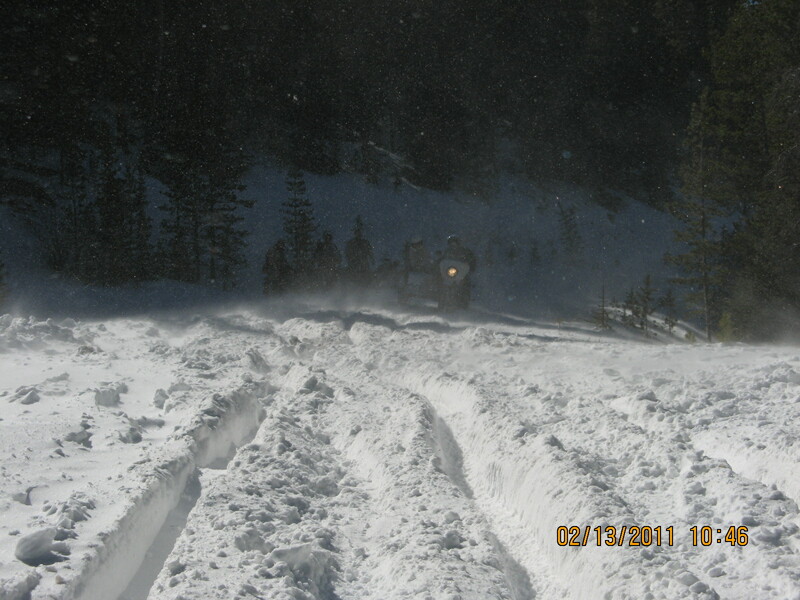 We got our rigs turned around and started making our way slowly back down the mountain road. 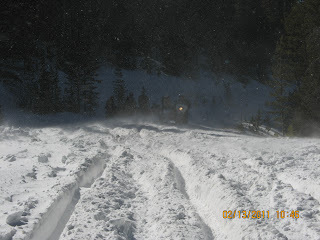 I was following Steffen's rig and it only got stuck twice on the way down. I managed to not get stuck at all though almost ran down a spectator who decided the middle of the road in front of a careening rig is the best place to take pictures. She was looking away from us and there was no stopping, so Murph bellowed out "Move!" and she moved. Natasha and I, on one of our good days together. Videos shot by Murph with his Iphone. 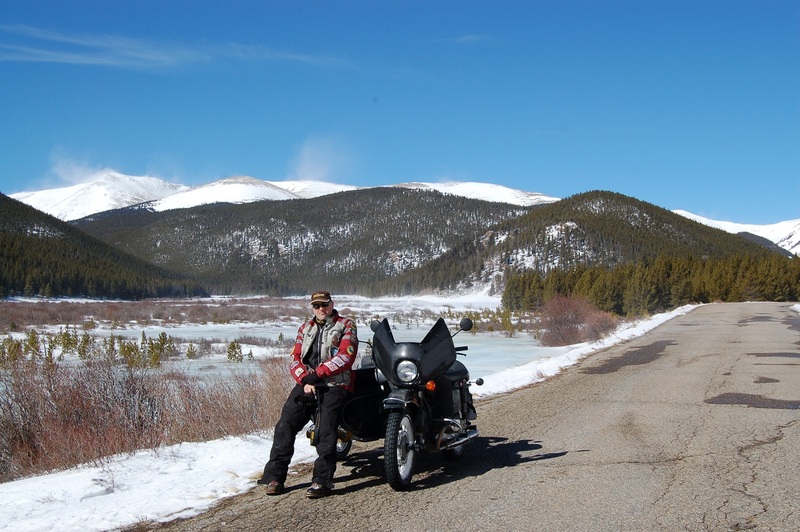 One of my favorite blogs in terms of riding and excellent photography is Steve William's "Scooter in the Sticks" blog. A posting he did today, highlighting a youtube video of a commercial from TC Bank in Taiwan struck a chord with me and I thought I'd share that video with you as well. If you want to see excellent photography from a rider....go see Steve's blog! 1. One hell of a fitting way to say their goodbyes to their departed friends and loved ones. 2. 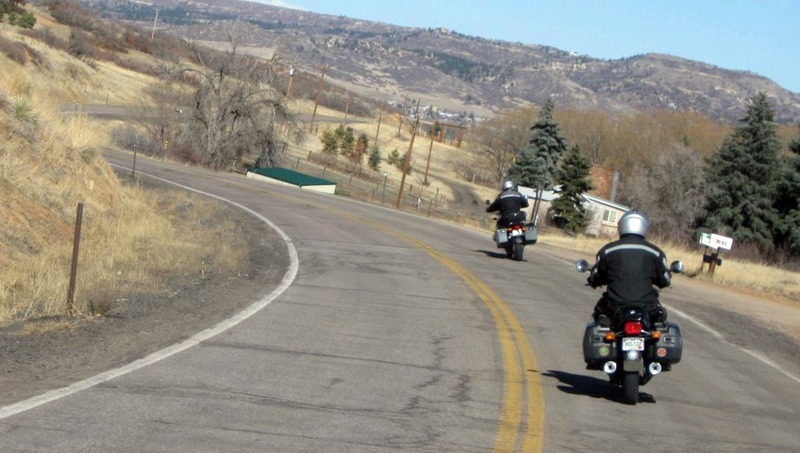 You can make lifelong friends by motorcycling. 3. You're never too old to ride if you really want to bad enough. 4. Riding can, temporarily, relieve you of life's worries and pains; so you can get a better grip on them after the ride. The original movie is﻿ a documentary film name "Go Grandriders". The whole project is launching by "Taichung City Hondao Senior Citizen's welfare Foundation". "Hondao" is a NGO which major task to improve the life quality of senior citizen. Natasha, not quite dead, and feeling better. 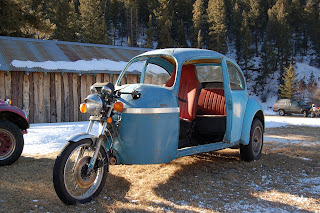 As my steady readers know, a bit over a couple of weeks ago I had another "repair challenge" set on my by Natasha, my '96 Ural Sportsman Sidecar Rig. It was initially, apparently the death knell of my relationship with this beast of a motorcycle but things have gotten better since then. 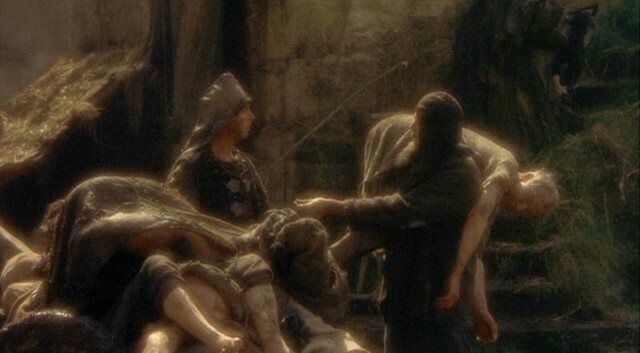 Much like the scene in Monty Python and the Holy Grail, where the guy is seen hauling a cart through a plague-ridden medieval town, yelling: "Bring out your dead, bring out your dead"; I too was in that situation two weeks or so ago. 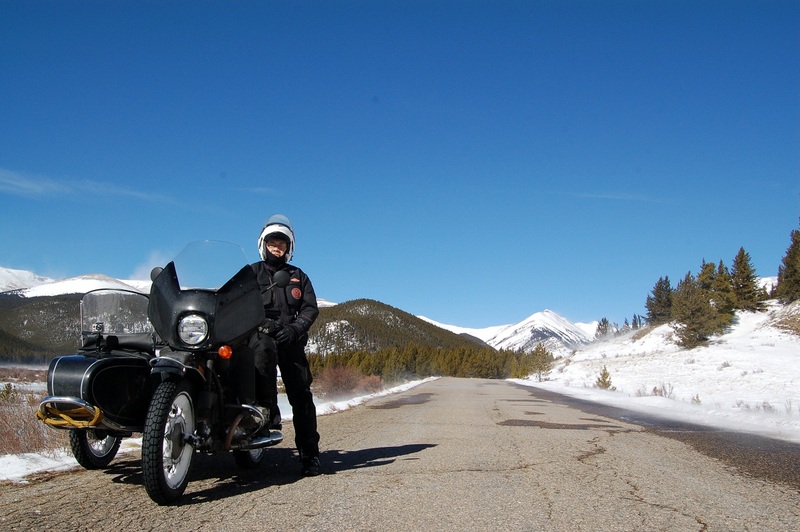 I thought the Final Drive on the Ural was toast and not worth further investment of time or treasure. I was the guy carrying a body to the death cart which was not quite dead yet. It was Natasha who spoke to me as I took her final drive apart and said: "I'm not dead yet". Further disassembly and research intimated that she might be "getting better". Since then I've had quite the "crash course" I've had in basic disassembly of a Ural fulltime 2WD unit, diagnosis of problems of which there were two major ones, and the eventual replacement of same. Ready help came from a fellow SovietSteeds member: Ron C aka n3303j online. He'd rebuilt this model final drive before and offered me guidance, help, info, and tips on taking things apart, checking them and then putting things back together. Thank you Ron, I am in your debt. After receiving the final part this part Saturday (and not realizing it till Sunday morning due to it being buried in snow on the porch) and spending Super Bowl Sunday working on her with my youngest son's help; Natasha was back together. 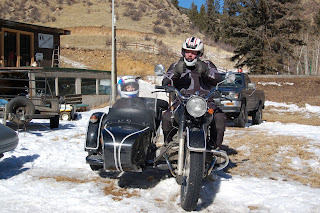 Monday, my wife and my youngest son helped me mate the tug back to the sidecar, Natasha was whole once again. 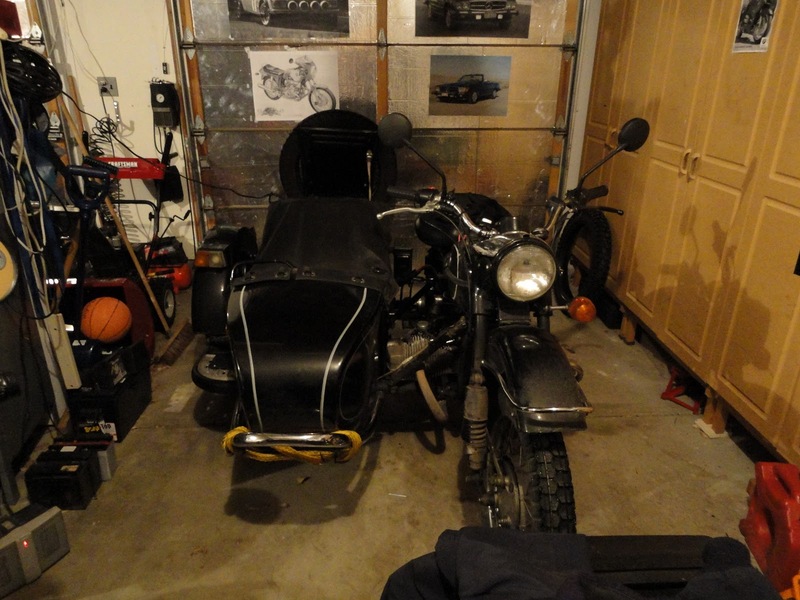 It was dark by the time I got her wired up to the battery in the sidecar and figured out some minor issues. Went out for a very short ride, less than 1/2 mile in the snow-packed neighborhood but she seemed fine! Those short few minutes riding about were glorious! Today, we woke to a good 5-6 inches of snow and I used Natasha to take my oldest son, Patrick, over to school. Man, it was fun sloshing about the deeply rutted neighborhood streets for the whole mile to the school. 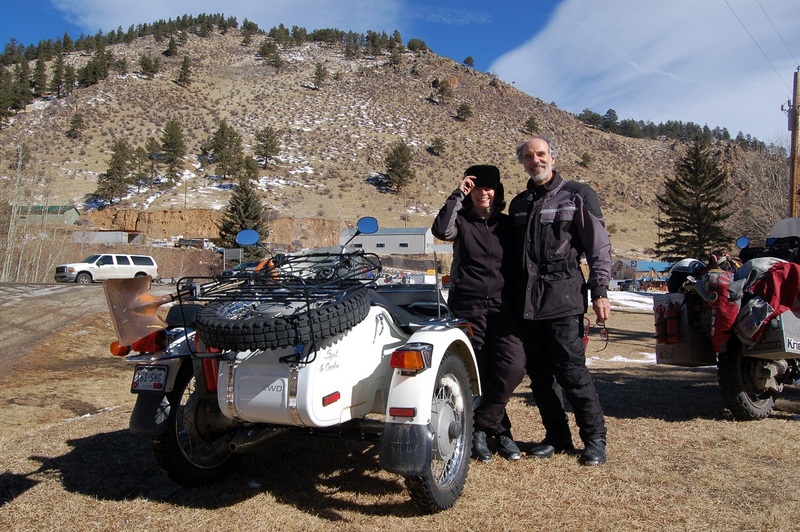 We both got quite cold in that short ride, as I'd not fitted the windshields back on to the rig or the heated grips! So far so good, no leaks from the final drive, the rear wheel remains with no wobbles and nothing has fallen off. The windshield is back on, heated grips are wired up again, and soon she'll be ready for the forthcoming Elephant Ride on Guanella Pass this weekend! Riding with Murph so he could join the "dark side"
Murph, rider and author of the blog: wherethehellismurph.blogspot.com, was staying at my home for the last couple of days as he resumes his riding about the USA. He had a sojourn over the holidays in Florida and had left his 2004 R1150 GS Adventure Beemer cooling its heels in Steamboat Springs, CO.
Cooling its heels, by the way, is an understatement. Murph returned from Florida at the end of last month to temperatures that plunged into the -40s. Snow and the extreme cold forced his hiring a flatbed tow truck to take his GS over the several passes between Steamboat Springs and Denver but they made it down just fine, arriving at my place yesterday afternoon. Murph is on a ride most of us motorcyclists dream about. The plan is to ride the world, seeing what there is to see, at his own pace and on his own terms. You must check out his postings in his blog, he's got a good eye for pictures. Murph has also "seen the light" of the practicality of sidecar rigs and has plans in the long term to get himself one that will carry him and his gear across this planet of ours with minimal fuss. Yesterday, the temperatures had soared into the high 30s and the main roads were clear but wet. 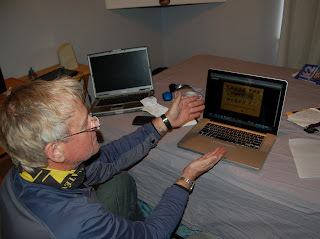 Murph's trusty old DELL laptop had recently had its screen malfunction and he had been searching for a replacement. This is where his journey to the "dark side" begins. By this I do not mean he went and got himself a K motorcycle, that is a different "dark side" within the Beemer Rider community. No, it's far worse, he went Apple. Murph had done his research and since it was so warm in my neighborhood today, we skipped the cage, and elected to ride to a nearby computer store. We donned gear and rode our motorcycles out of my snow-packed neighborhood and onto the main roads which were clear but wet. The way I figured it, if you're going to go to that particular "dark side", might as well do it in style right? I led the way on Brigitta, my '87 R80 airhead, through wet streets and temperatures that ranged from 38-39°F degrees. No issues with traction were encountered I am happy to report. Murph just kept saying out loud at the traffic stops: "This is great riding weather!". 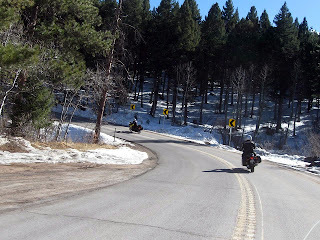 Mind you, at times it was lightly snowing on us but really, it was a pretty good Winter riding day....so long as you don't fret much about wet roads and temperatures under 38°F. Why 38°F you ask? Because the time I had a lowside crash, it was due to ice which had formed with temperature readings at 37°F. 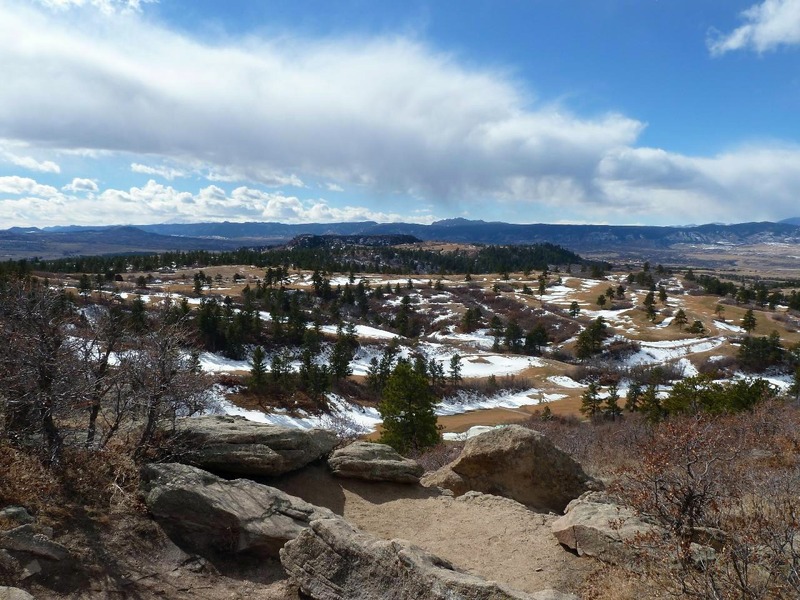 Of course, I was at higher elevations at the time, but it was June, not February! We made it to the computer store, and Murph did his comparison shopping but ended up with a Macbook Pro with a 15" screen and some really nice technical specs. I must admit the display on the thing was gorgeous. We got out of the store, Murph with a lighter wallet, and packed up all the purchases onto his GS and my system case. The ride home was wet but uneventful, had to keep opening up my visor to see sometimes but all in all, a fun ride. Murph is now "enjoying" the transition from being a Windows user to being a Mac Zealot in training. I believe I hear cursing coming from his room, I must go check. 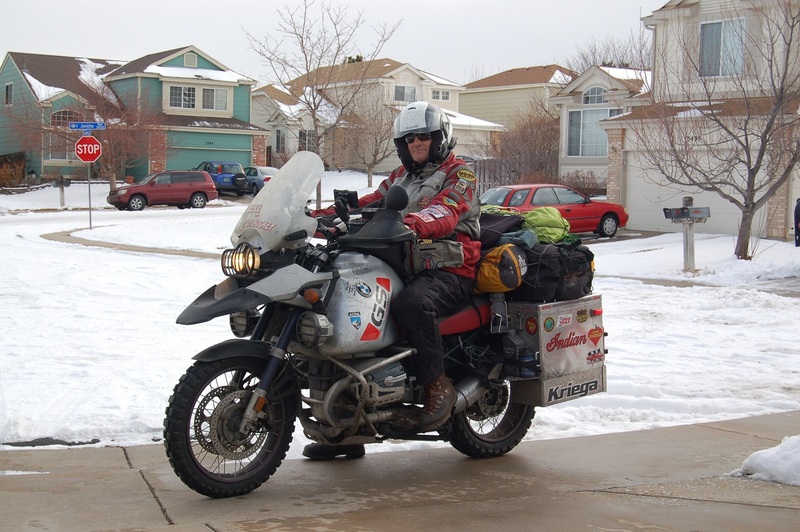 Today, Saturday, it was time for Murph to move on to his next destination, he's riding over to Boulder before the snow starts again in the afternoon to visit with another friend of his. It was great meeting you Murph! You're welcome (in spite of the fruity laptop) anytime at Casa Chang. Oh and before you go and write spiteful commentary re why Apple OS is better than Windows OS, blah blah blah, I already admitted Murph bought a really nice machine.